Ladies and Gentlemen, fellow members and guests, would you please rise and raise your glass as I would like to propose a toast to an unsung hero of Montreal. Everyone in this room has at some time walked or dare I say, cycled, up Cote des Neiges hill and knows the heavy pull from it. Yet who among you knows of the first person to cycle up its entire length? 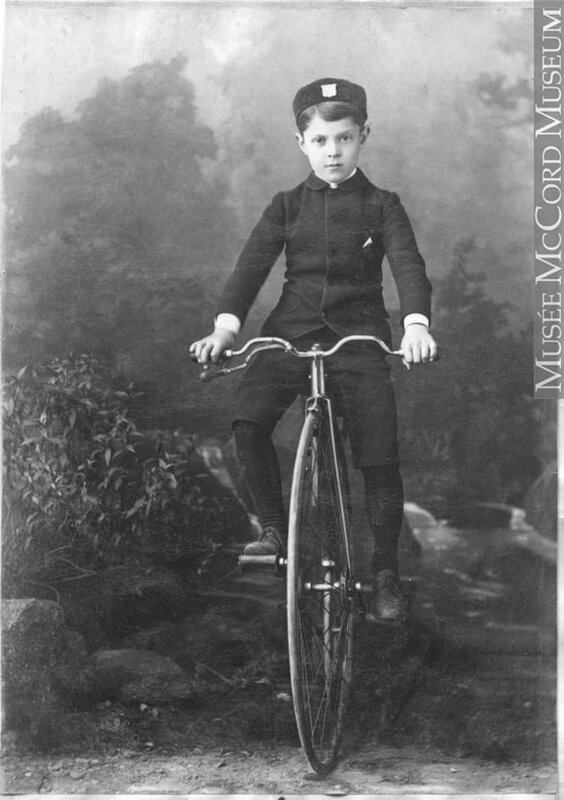 On June 15, 1887 a penny farthing hill climbing competition was held on Cote des Neiges. Some of the best riders from the Montreal Bicycle Club attended, yet all were defeated by the hill, except one plucky, small, 10 year old, boy. It was reported at the time that just below the crest of the hill, his little legs seemed to stop momentarily, and ere the conveyance might topple over, suddenly he was at it again and had accomplished the ascent in 10 minutes, 20 seconds. Sadly he was not long in this world, succumbing to influenza at age 15. 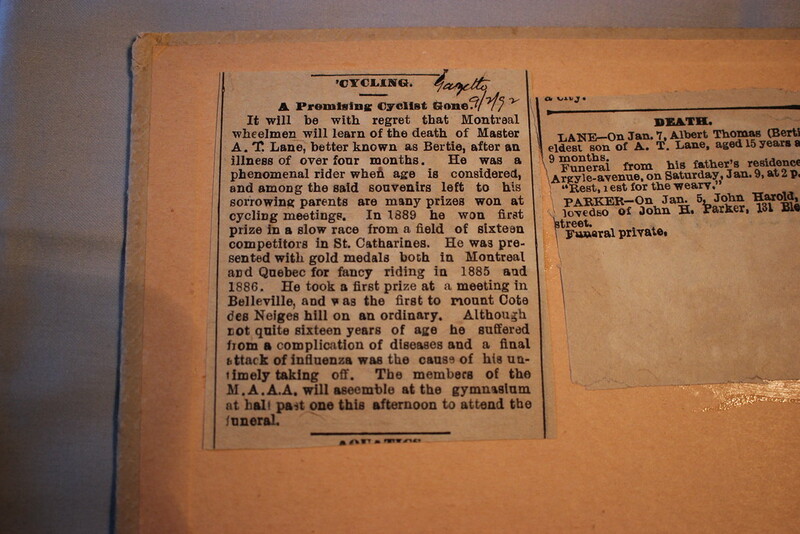 His obituary noted the hill climbing competition and credits him as the first person to cycle up Cote des Neiges hill, on which thousands labor, even to this day. Please join me in a toast to this unsung hero of Montreal, Master Bertie Lane. I also brought a picture of Bertie Lane and some historical records written at that time, which I will pass around.